Detective writers love a puzzle. And collecting Agatha Christie books can be as confusing as her detective novels! Occasional Christie novels fetch vast sums of money yet remaining catalogued novels sell for a varied and sometime perplexingly low sums. Of course, the length of Christie’s successful career means that her many books were published several decades, making the numerous choice of first editions an issue – the elusive and rare publication is hard to find. Over her lifetime Agatha Christie wrote sixty-six detective novels and fourteen short story collections, with arguably two of the best-known crime characters in literary history, Hercule Poirot and Miss Marple. Her editions have been translated into at least one hundred and three languages. The sales of her books have achieved around two billion copies worldwide and her estate claims that her works come third in the rankings of the world’s most-widely published books (after Shakespeare’s works and the Bible). Her books sold worldwide so publishers quickly sought to produce her books, so there are numerous first editions to be collected by a Christie enthusiast. Of course, Christie was also the author of the world’s longest running play, The Mousetrap. One of the most valuable Christie’s novels were her early publications of the early 1920’s, including the The Mysterious Affair at Styles, The Secret Adversity and The Man in the Brown Suit. The Bodley Head imprint for Collins was the publisher of the books. Christie had to work hard to convince publishers to take on her first book with five publishers rejecting the manuscript. Interestingly, the Canadian edition, published by Ryerson Press in 1920, actually precedes the first British edition of The Mysterious Affair. However, no doubt Christies’ scarcest work would be ‘The Mystery on the Links’ published by London, The Bodley Head in 1923. From 1926 Christie was under contract to Collins and the The Collins Crime Club which ran from May 1930 to April 1994. 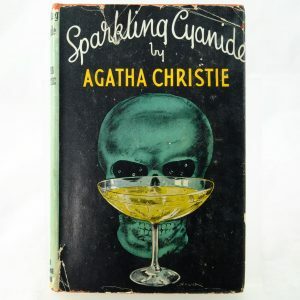 All except six of her books were published under this Crime Club imprint and these editions remain popular and collectable with famous titles of Murder of the Orient Express and The Murder at the Vicarage attracting considerable interest. The wide geographical range of publishers may affect prices and value of a first edition. An early edition of the American publisher York, Dodd, Mead and Company in New York may fetch lower prices than a UK publication. Yet Agatha Christie’s popularity makes for an enduring interest in her life and publication history. 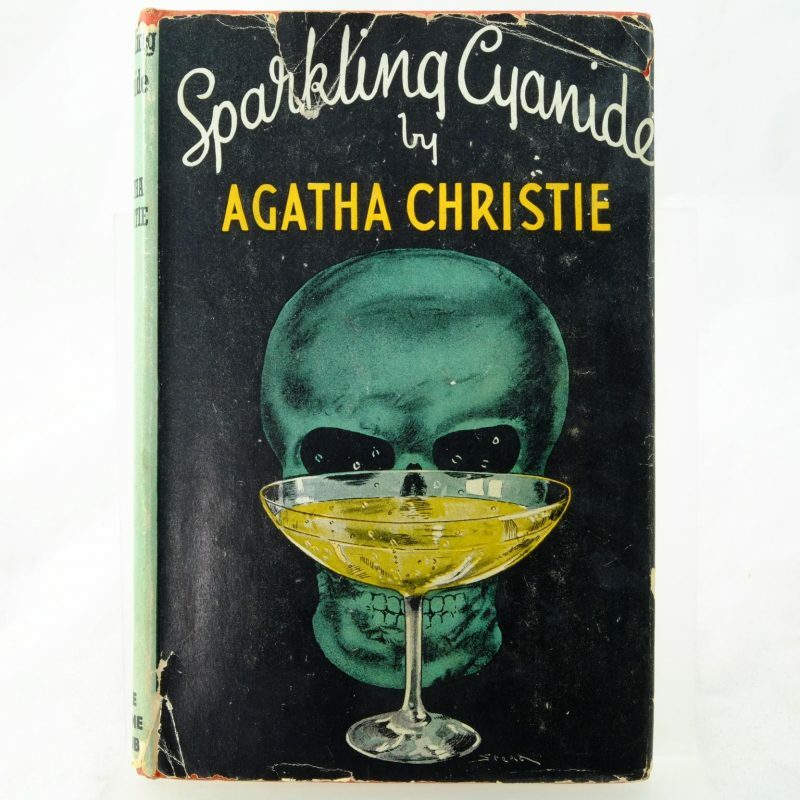 Collecting Agatha Christie first edition books with an author’s provenance or personal history can add significant value to the books and make for a rare volume. In addition, any first edition jacket will add considerable interest to her works. It seems that a Christie collector will have to indulge in a little more investigation – something that detective novelist would welcome! Browse early editions of Agatha Christie novels.